As a project manager, have you ever experienced problems with project plans made on gut feeling, without figuring out the best way of doing things, or how people and activities are dependent on each other? Most project plans and Gantt charts do not provide you the opportunity to see how activities are connected to the details and individual to-do-lists. 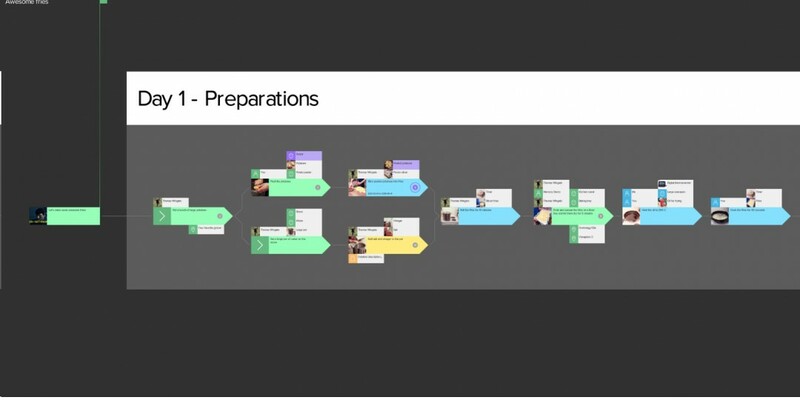 Dreamler makes it possible to zoom out to see the overview of the plan (picture 1) and zoom in to see how the overview connects to detailed tasks and to-dos. This connectedness gives a team the ability to visualize how their tasks are intertwined, share knowledge and work as a united team towards maximizing efficiency. But there is a challenge when connecting the overview plan with the details: it may reveal that the overview plan is poorly thought out on a detailed level. This issue generates frustration and needs to be handled from a leadership perspective. Either we can happily continue to work while not knowing what we don’t know, or we can allow ourselves to be exposed to both what we know, and don’t know, and begin to tackle it. Does this problem sound familiar? Or have you already found a way to handle these complex problems when managing projects? Solving these complex problems is what we do. We want to team up with people to solve these inefficiency problems. Let us introduce what we are working on. Dreamler is a process and project management tool that turns individual to-do lists into a collaborative visual planning game. Normally, everyone in a team has their own to-do-lists. Dreamler offers a multiplayer real-time game-board that turns to-dos into building blocks. The building blocks (activities, people, documents, physical resources and places) are used to create project road-maps so team members can: see how their activities relate to others; follow progress; and detect if someone is blocking the commencement of other peoples’ tasks. Dreamler allows you see the actions of other users (avatars) operating on the game-board, in real-time. It displays an overview of the entire project landscape—and lets you zoom in on precise details allowing you to understand your part in the whole. In Dreamler you create strategic and operational maps for doers to become much more efficient in project and process realization. Dreamler gives a good opportunity to take concepts like Lean and Agile development into the service industry. We’re looking to collaborate with people that, just like us, want to solve these problems. Shoot an email to olof@dreamler.com if you would like to have a chat.